ATEC Steel is now accepting applications for a Robotic Welder position at our Baxter Springs, KS location. The welder works with minimal instruction to perform a variety of welding processes and methods to weld all types of metals and alloys of various shapes, sizes and thickness as need for the process. Must be able to comprehend blue prints, work a variety of welding processes, weld in flat, horizontal, and vertical positions, and have the ability to use hand and power tools. 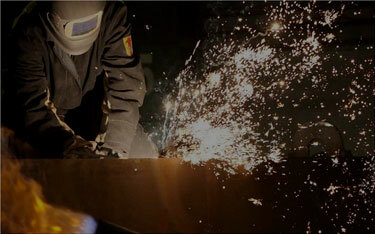 A certification from trade or welding institution is preferred. Comprehensive benefits package available. Apply here.